We have recently improved ScienceDirect support with our web importer. 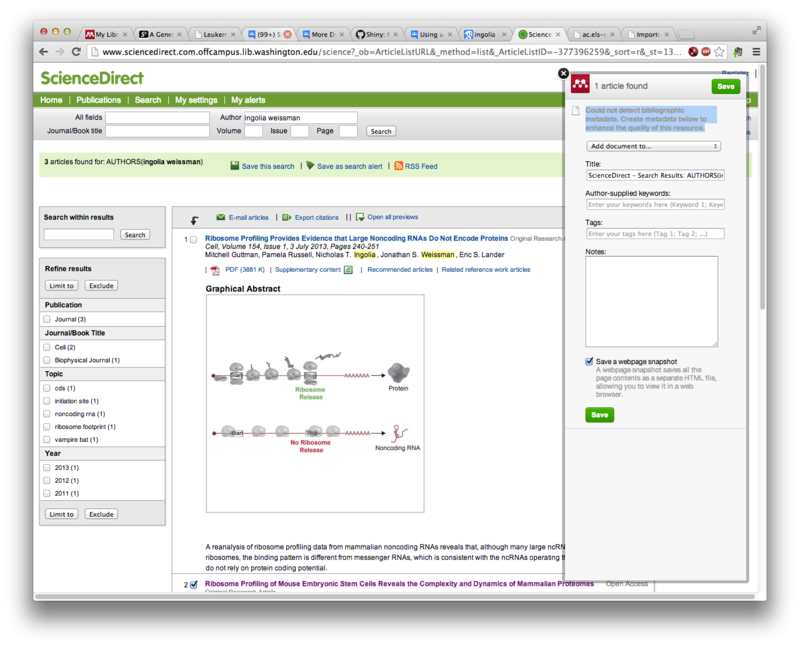 This integration means that once a user has been authenticated on www.sciencedirect.com, the Mendeley Importer will recognize that they have the right to access full-text PDFs and enable them to download these directly to their Mendeley Library with just one click. We understand that importing PDFs and references from the web is an important part of many researchers’ workflow. That’s why we’re aiming to support a wide range of journal websites, search engines, and will carry on bringing out many exciting new features like this one. Watch this space! How is Technology Changing Research? Let’s Find Out! I had high hopes that maybe you had fixed the web importer to work with science direct, but no such luck. With the webimporter retrieved just minutes ago on 9/29/2013 I still get the message, “Could not detect bibliographic metadata. Create metadata below to enhance the quality of this resource.” for any science direct papers. Want to see a screen shot of the webpage and this error? Is there any way of importing from the science direct app?